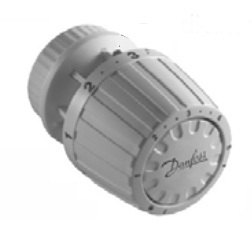 Danfoss RA2000 - A.L.B. Industrial Supplies, Inc.
RA 2000 Thermostatic Radiator Valves regulate the flow of hot water or low pressure steam through free-standing radiators, baseboards, or convectors in hot water and two-pipe steam systems. Operators and valves are packaged separately to allow an installer to select a suitable combination for each application. Danfoss offers a complete range of robustly constructed operators, suitable for practically all types of radiator/convector heating systems and installations.